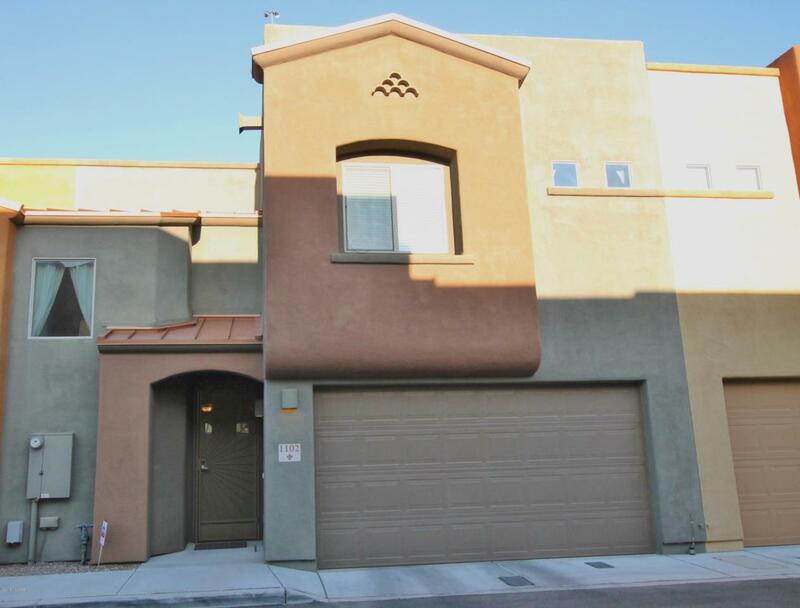 Enjoy Urban living, close to the University of Arizona and Downtown. Close to shopping, dining, hospitals and more. The east facing patio provides for plenty of shade so you can hang out under the patio. Entertain your inner chef in the well-designed kitchen. Lots of work space and cabinets as well as an island give you room for storage and prepping and serving your guests. Open great room floor plan flows wonderfully from the kitchen through the dining area to the living area. 18'' tile on the main floor and carpet on the second floor. All appliances convey. High quality security screen and doors. Two car, finished garage.The HOA includes roof maintenance, exterior paint, hazard insurance, gated entry and trash. This one won't last long.